The student already knew to steer clear of Kozinski, but decided to interview with Kavanaugh anyway. Enter Chua. Chua is reputed for helping Yalies score prestigious clerkships with federal judges, apparently by any means necessary. Chua’s response to the Huffington Post’s request for comment didn’t deny these allegations. “For the more than ten years I’ve known him, Judge Kavanaugh’s first and only litmus test in hiring has been excellence,” said Chua, indicating she’s still Team Kav even after he was accused of sexual assault by Christine Blasey Ford, a California professor who knew Kavanaugh when they were teens in the ‘80s. “In the past decade, I have helped place 10 Yale Law School students with Judge Kavanaugh, eight of them women,” wrote Chua, who then quotes testimonials from said women. They gave rave reviews. Chua’s own daughter began a clerkship with Kavanaugh in August. Interesting, especially considering The Guardian’s report that Chua offered advice on, “ways they could dress to exude a ‘model-like’ femininity to help them win a post in Kavanaugh’s chambers. Chua also privately told a group of Yale Law students that it was “not an accident” that all of Kavanaugh’s women clerks “looked like models,” according to a source who only spoke to The Guardian anonymously in fear of ruining their career. Last year, Chua invited the group of mentees to a bar to discuss “a high profile #MeToo case.” As the students began to discuss whether the movement would hit the judicial sphere, Chua expressed skepticism, noting that she was well aware of the sexual harassment allegations against the aforementioned Kozinski. 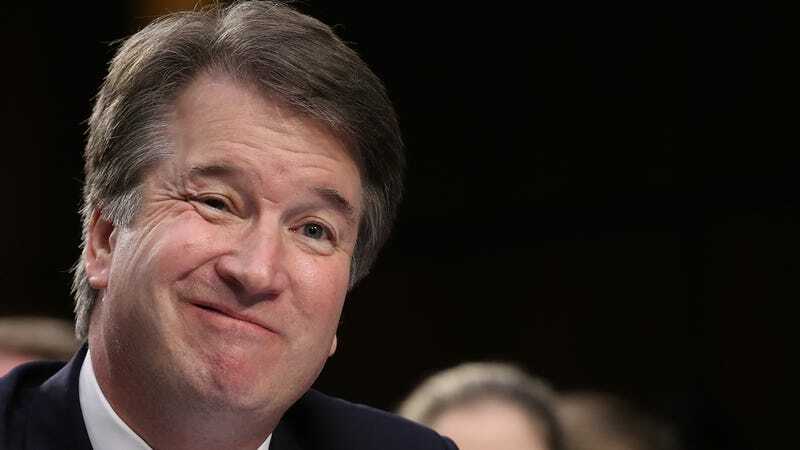 Then, Kavanaugh came up. But that’s irrelevant. Whether Kavanaugh was explicit in the type of woman he wants as a clerk or not, Chua and Rubenfeld got a message, of sorts, and dished it out to clerks in a way that clearly came across as innuendo. In an emailed statement, Yale told The Guardian that this is the first they’ve heard of Chua coaching students to look a certain way. The university promised to look into the claims while maintaining sensitivity to the fact that Chua is currently hospitalized with an serious undisclosed illness. Regardless of the nitty gritty details or the rave reviews from women under Kavanaugh’s wing, it’s clear Chua was suggesting women show off their “assets” in the hopes of receiving a clerkship with Kavanaugh. It’s yet more proof that women can be complicit in and prop up dangerous systems that allow predatory behavior to become the norm.